BED FRAME FOR 150x200 cm mattress: 163x205 wide + 10 cm for bed storage x 35 h. cm. 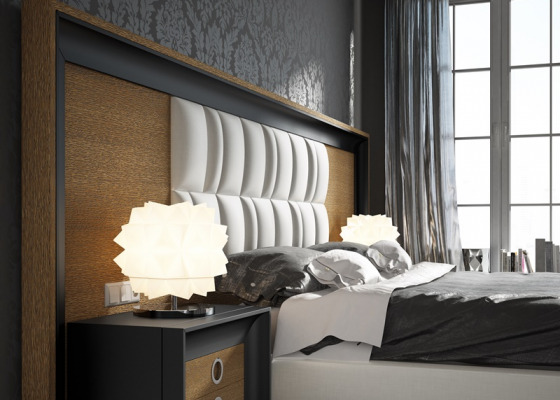 BED FRAME FOR 160x200 cm mattress: 173x205 wide + 10 cm for bed storage x 35 h. cm. 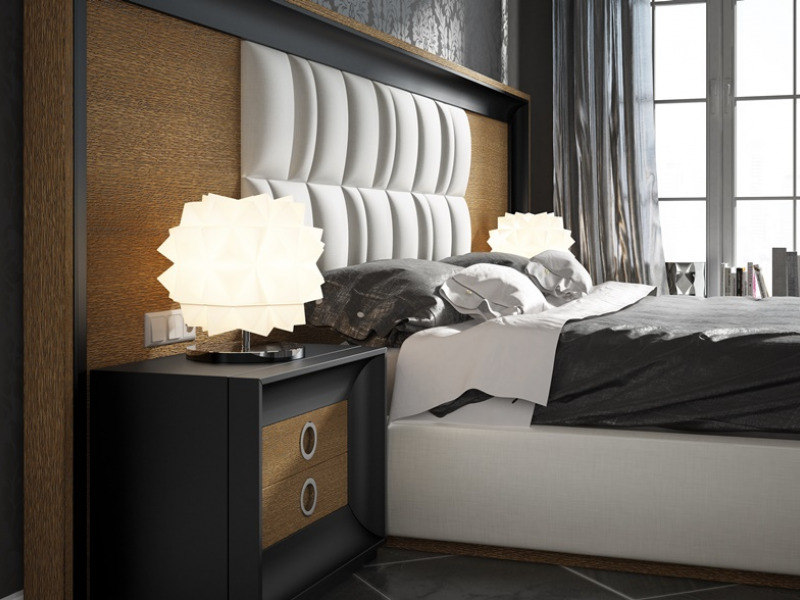 BED FRAME FOR 180x200 cm mattress: 193x205 wide + 10 cm for bed storage x 35 h. cm. BED FRAME FOR 135x200 cm mattress: 148x205 wide + 10 cm for bed storage x 35 h. cm. BED FRAME FOR 193x200 cm mattress: 206x205 wide + 10 cm for bed storage x 35 h. cm. 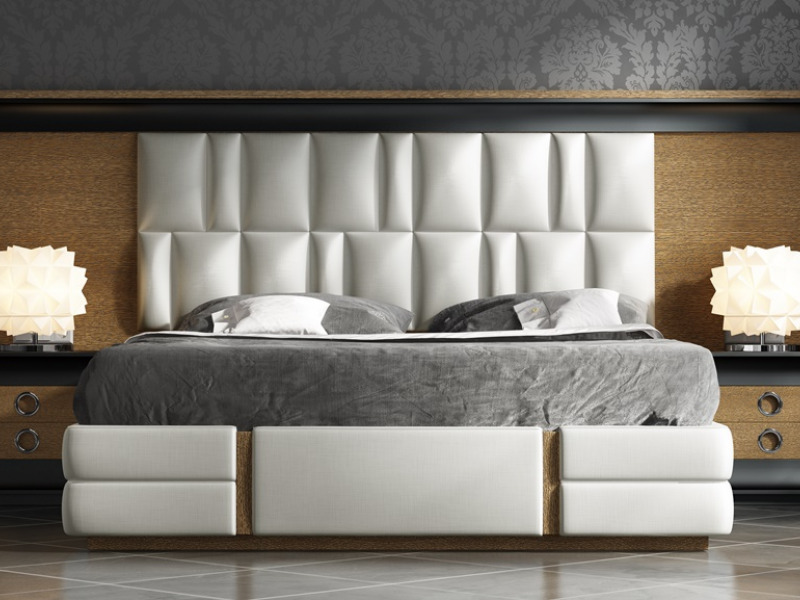 Headboard with length between 250 and 350 cm in oak veneer with an elegant 12.5 cm wide inverted molding with lacquered decoration on the inner molding and central part upholstered in white faux leather. 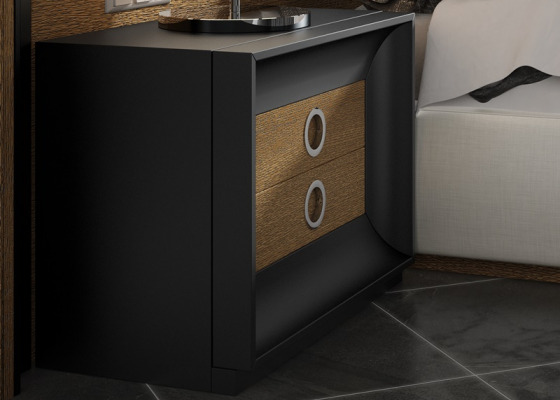 Picture finishes: Oak colour nº 917 with inside moulding in black lacquer nº 150 and upholstered central part in STAR BIANCO. 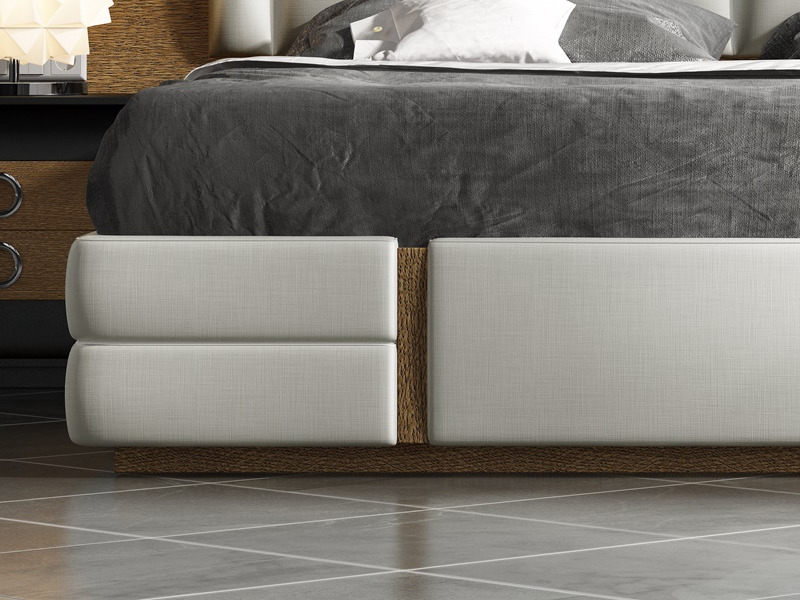 Upholsterd bed frame in STAR BIANCO with side details and baseboard in oak colour nº 917.